Meet your neighbor and Illini West Senior Karissa Wilson of La Harpe. Karissa is the daughter of Joanie Wilson, who works at Western Illinois University in Macomb. Karissa was born on September 19th, 1995 in Galesburg, but has lived in La Harpe her entire life. She has one brother, Travis who is 21 and attends Western Illinois University. She is the granddaughter of John and Lila Link of La Harpe. John owns John L. Link Construction and Lila is retired. During high school, Karissa has been active in sports and clubs. She played softball her freshman and sophomore years and has played volleyball all four years. Karissa also has been involved in several clubs, LOOP, SADD, PALS, and the Git R Done Clubs throughout high school. She has been on the honor roll all four years and is a Member of the National Honor Society. 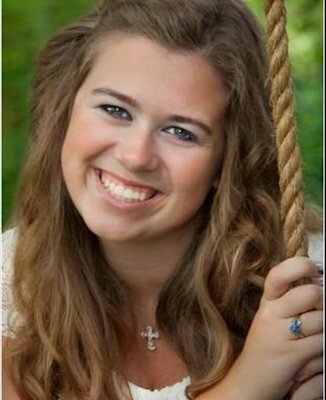 After graduation in May, Karissa plans to attend Western Illinois University and major in Special Education.